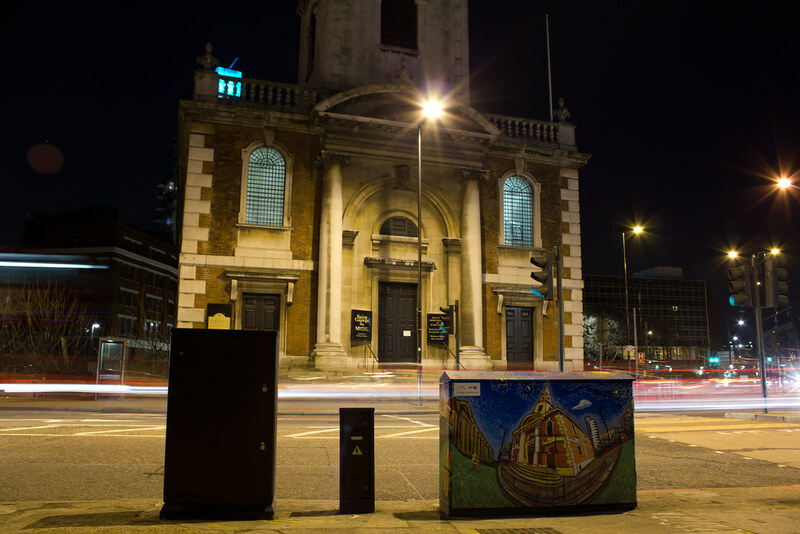 If you are heading down to Southwark to see Banksy’s new “Haring Dog”, you should take a little break outside Borough Tube Station to have a look at this nicely decorated BT cabinet. 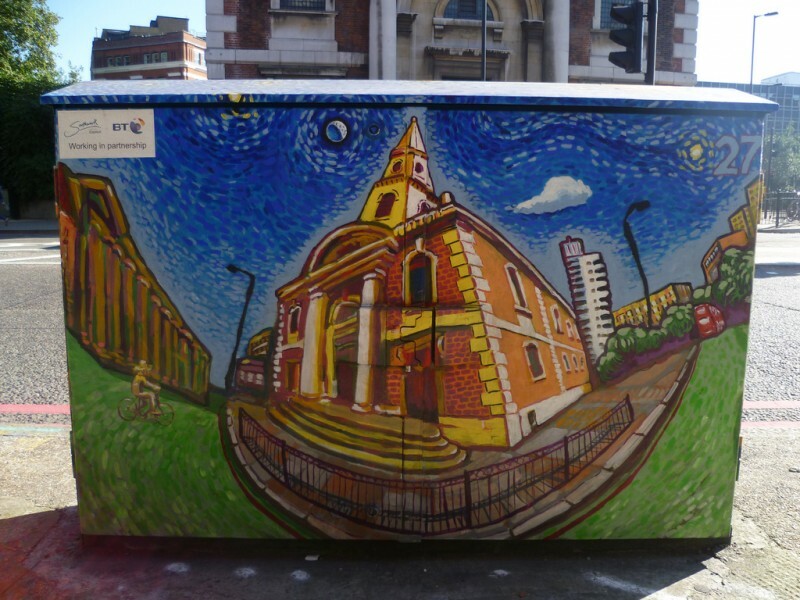 The work is a collaboration between BT, the local council and the artist Morganico . By: adminFiled under News. Tagged morganico, Streetart. Bookmark the permalink. 2 Comments View EXIF Data. 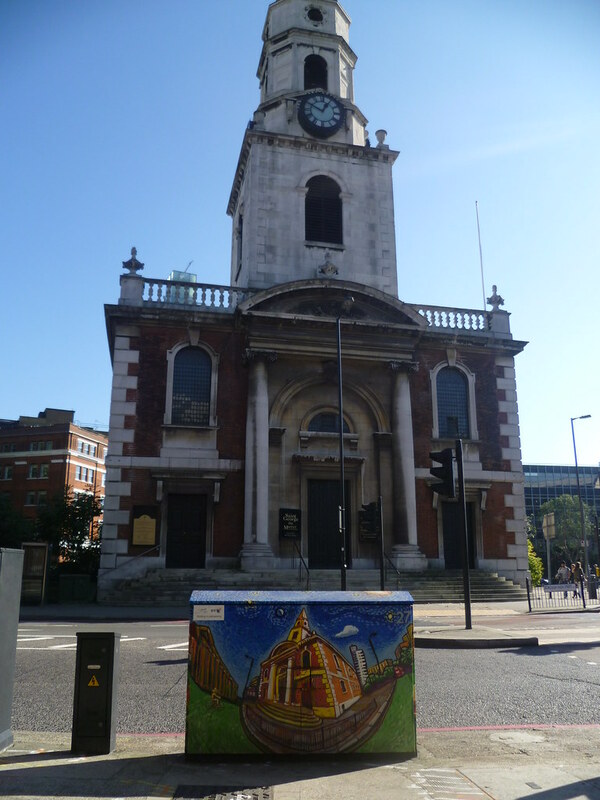 On Friday a new Banksy popped up in The Grange, SE1 London. The piece is a tribute to the artist Keith Haring. Seems like new Banksys are appearing every day now! 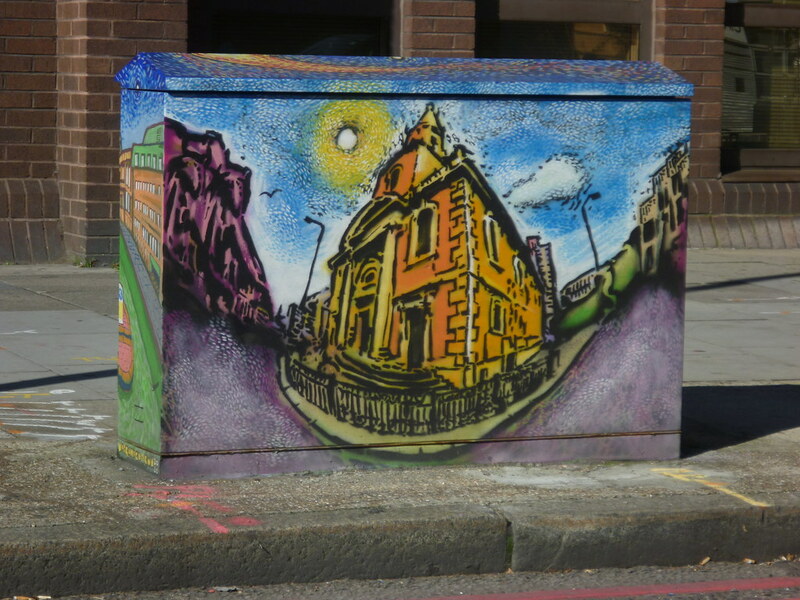 This one can be found at The Highway, near Dock Street in Wapping.